Friends of Browns Canyon, a 501 (c)(3) non-profit, officially formed in 2003, with volunteers spending hundreds upon hundreds of hours in the field mapping and getting to know the area. Later that year, the 5th Congressional District’s Republican Rep. Joel Hefley had 10 areas in the district and could pick one to push forward as a wilderness. 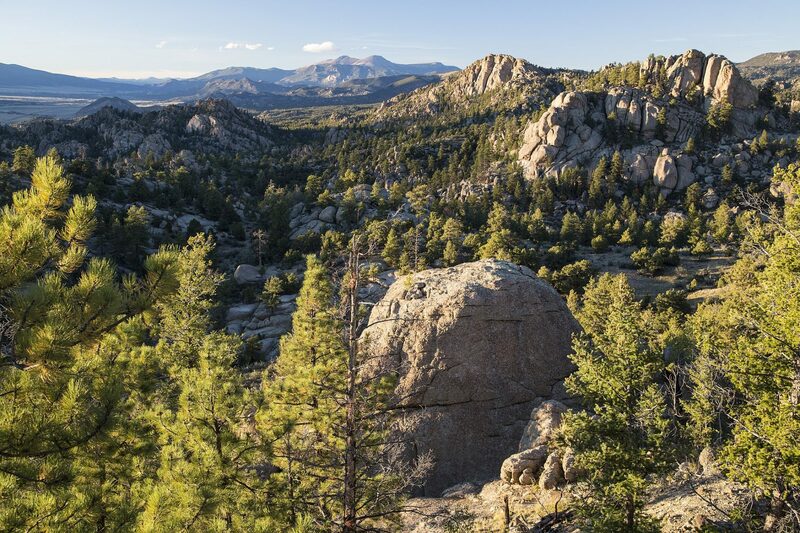 With a Republican congressman as an ally, the Friends of Browns Canyon thought their wilderness proposal for Browns Canyon was all but passed. But the legislative process in Washington would prove to be more complicated. The bill was drafted, introduced to Congress in November 2005, and was passed favorably to the House Committee on Natural Resources. However, this is where the bill died because the NRA opposed the closure of the Turret Trail, which maintains access for hunters. The Friends of Browns Canyon created a board of directors for the first time in 2012 and hired their first executive director. That year, Senator Udall proposed taking a different approach by pursuing a national monument for Browns Canyon. It would designate 22,000 acres for the national monument, 10,500 of which would be wilderness. 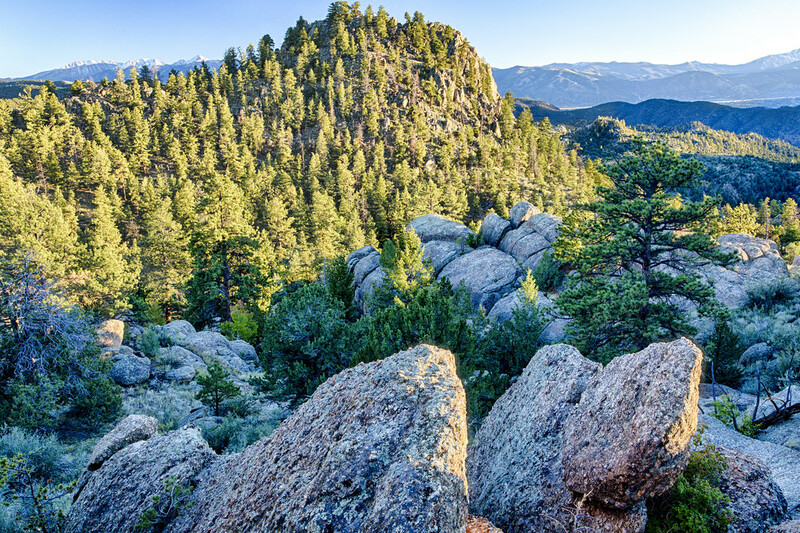 At the end of 2013, Udall introduced the Browns Canyon National Monument and Wilderness Act of 2013 in the Senate. In mid-2014, the U.S. Senate National Parks Subcommittee held a hearing on the bill. But the bill went no further in the Senate. Along with Sen. Michael Bennet, who co-sponsored Udall’s bill, Udall urged President Barack Obama to consider using the Antiquities Act to designate Browns Canyon a national monument, sidestepping the congressional route that had failed for the last decade to bring the project full circle. The Arkansas River starts as a patch of melting snow in Leadville, Colorado, a city rich in mining history and famous for its 10,200-foot elevation. The Ark (as locals like to call it) gains momentum as it flows past some of the biggest mountains in Colorado, benefiting from their abundant snow melt in the spring and summer. From its headwaters, the Arkansas River deliver more than 100 miles of whitewater, making it the most popular river for rafting in the American West. The river’s appeal lies in its wide variety of trips and easy accessibility. The Blue River is roughly 65 miles long and is a tributary of the mighty Colorado River. Flowing from the Dillon Reservoir Dam just above the town of Silverthorne to the confluence with the Colorado River at Kremmling, the Blue River is easily a candidate for Colorado's most scenic river. Lined by cottonwood trees and crowned by the rugged Gore Mountains, the Blue River winds a scenic course through ranch land, and its public access points are popular among anglers and kayakers alike. Clear Creek is a tributary of the South Platte River that flows through Clear Creek Canyon in the Rocky Mountains directly west of Denver. It descends through a long gorge to emerge on the Colorado Eastern Plains where it joins the South Platte. Clear Creek is unusual in that it is a stream named "creek" fed by a stream named "river." The Upper Colorado River Basin, defined by the river network above northern Arizona, is comprised of four states—Colorado, New Mexico, Utah, and Wyoming. These states contribute to the vast majority of the water coming into the Colorado River Basin, primarily through winter snowpack. Colorado, specifically, is known as the Headwater State because it’s home to the headwaters of four major rivers: Platte, Arkansas, Rio Grande, and Colorado. The Colorado River flows west out of the slopes of Rocky Mountain National Park and connects to several tributaries, including the Animas, Eagle, Dolores, Yampa, Blue, and Roaring Fork Rivers. Ten Mile Creek is a stream in Summit County. It rises above Copper Mountain Ski Resort and follows next to Interstate 70 for several miles before emptying into Dillon Reservoir. The creek and the paved trail that follows alongside it are easily visible from Interstate 70 between Frisco and Copper Mountain Ski Area. A long and winding river in southwestern Colorado, the Dolores flows through canyons packed with enormous ponderosa pine and high sandstone cliffs in brilliant oranges and reds. The river continues its journey from the alpine scenery into the high desert and through canyons dotted with amazing white water, ancient ruins, and untamed wilderness. The Arkansas River, a major tributary of the Mississippi River, is 1,469 miles long and is the sixth longest river in the United States. It starts as just a patch of melting snow in Leadville, Colorado, a city rich in mining history and famous for its 10,200-foot elevation. The Ark, as locals call it, gains momentum as it flows past some of the biggest mountains in Colorado, benefiting from their abundant snowmelt in the spring and summer. From its headwaters, the Arkansas River deliver more than 100 miles of whitewater, making it the most popular river for rafting in the American West. The river’s appeal lies in its wide variety of trips and easy accessibility. KODI Rafting’s Arkansas River raft trips range from mild, scenic floats to world famous class III to class IV whitewater. Our most popular Arkansas River trips take guest through the gorgeous Browns Canyon National Monument or through the raging rapids of the Numbers north of Buena Vista. The Arkansas River is ideal for families with young children, groups with mixed skill levels, and outgoing, adventurous adults. The Peak season to run the Arkansas River is May through September. Book your trip now for your chance to raft one of the country’s most popular rivers. Avoid I-70. Take the Road Less Traveled. Denver is a super popular vacation destination, and why wouldn’t it be? 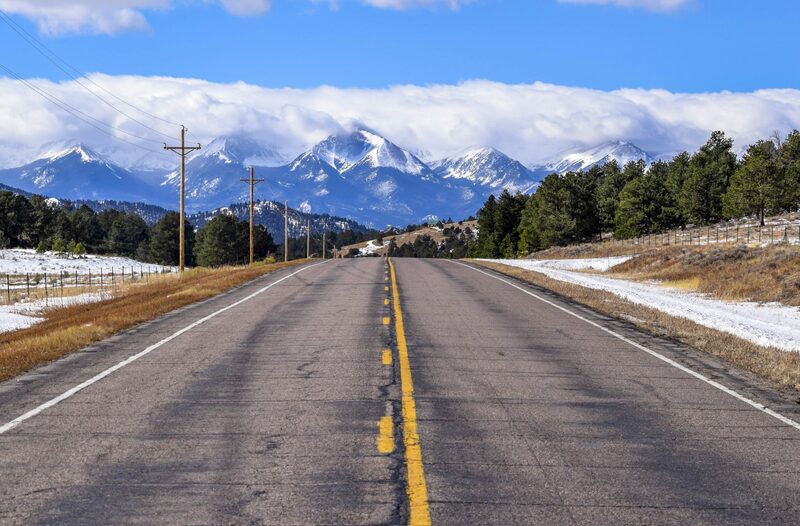 This booming city has culture, sports, and is close to Colorado's famed Rocky Mountains where you'll find an abundance of outdoor recreational activities. Unfortunately, getting into the mountains can be tough, especially when traffic along the I-70 corridor slows you down. 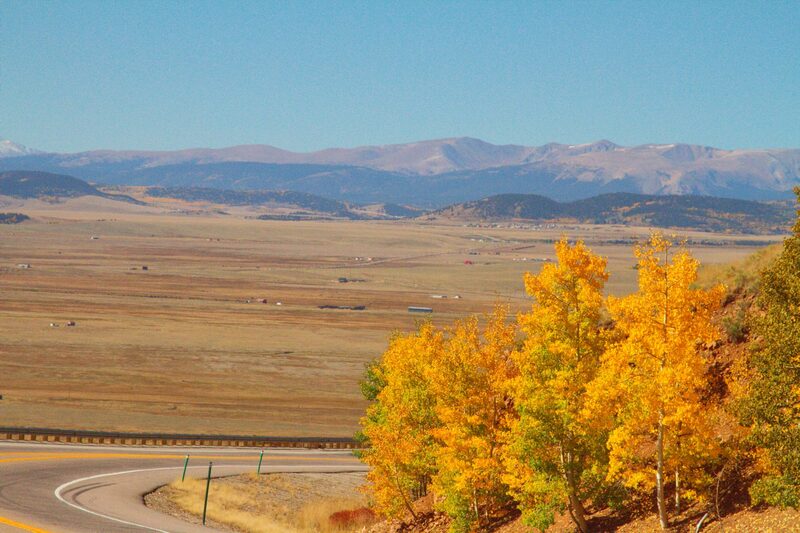 Don’t let bumper to bumper traffic steal precious Colorado vacation time. 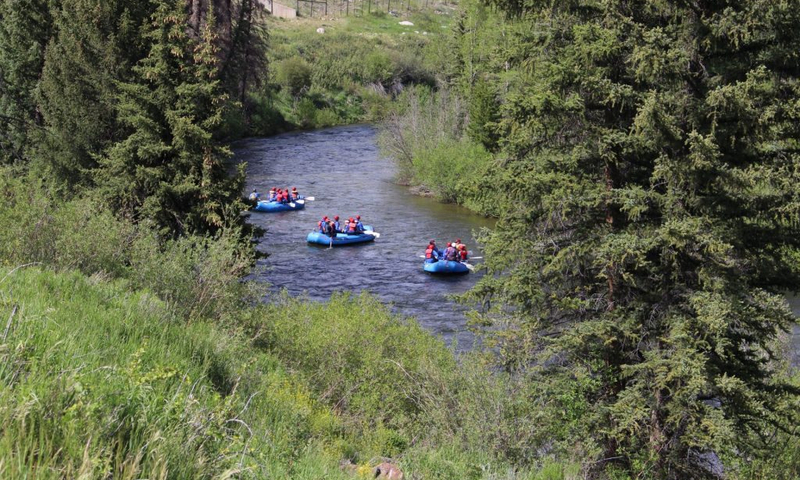 Book a Colorado raft trip with KODI Rafting. We have rafting trips in Buena Vista that avoid I-70’s traffic by taking you along Highway 285. This less-traveled route goes through Bailey, over Kenosha Pass, and into South Park (yes, that South Park) before dropping you into Buena Vista. Buena Vista is a small—but growing—mountain town. From rafting and mountain biking to hiking and rock climbing, this Colorado gem has it all. Buena Vista is considered by many to be the whitewater capital of the United States, and for good reason! 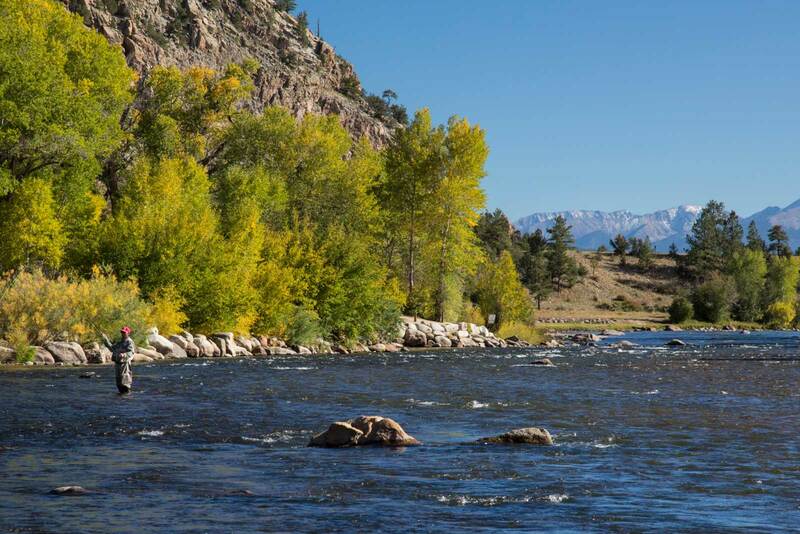 The Arkansas River, Colorado’s #1 rafted river, runs right through town and offers several access points just a short drive from Main Street. From Buena Vista, you can also raft Browns Canyon National Monument, a breathtaking canyon featuring granite cliffs, colorful rock outcroppings, and drastic elevation changes ranging from 7,300 to 10,000 feet.